Capture Your 365 Day 12: A Treat. so we have a lot of treats to enjoy! 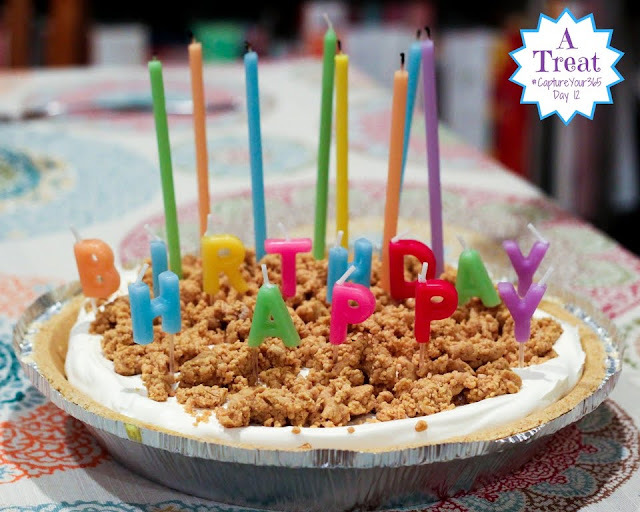 This was my 21 year old son's birthday treat: Grandma June's Peanut Butter Pie.